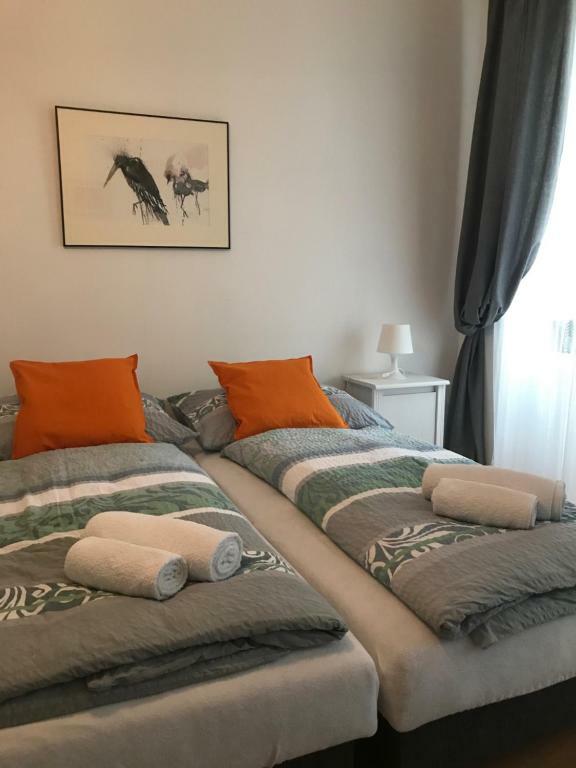 The apartment was comfortable, close to a tram stop and within walking distance of the railway station. We enjoyed our stay. Corinna, the host, was very kind and nice to us - she told us some tips and marked some interesting places to visit. The apartment was very clean and close to tram stops and Belvedere Palace. The block itself is quiet and there are many boulangeries in it, f.e, backWerk cafe is great! 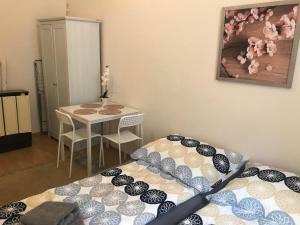 Well furnished apartment with all the facilities you would need. Corina, our host, was very helpful and welcoming. Check-in / check-out was seamless. 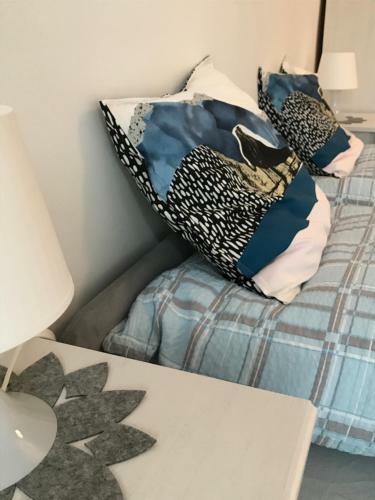 It's an amazing flat - new, with a good vibe and very very comfortable. The host , Corrina, is a lovely girl, very caring and nice. It's a first time during my long travel life I had a perfect WiFi all the time and also all necessary appliances. I felt like home. Ah, and location is just perfect. Very convenient. The apartamento is really great very modern and with all the conditions for a fantastic Christmas in Vienna. Corinna super amazing thanks you !!! Corinne is very friendly and accommodating. The apartment is basic but functional. The area is very safe. 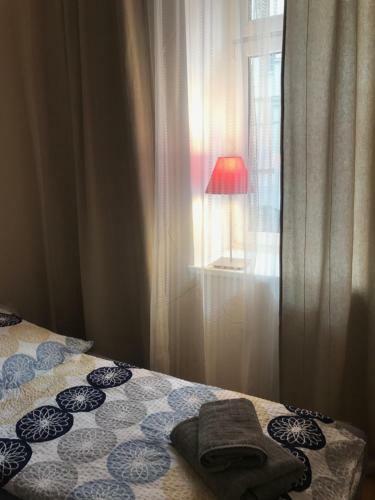 Lock in a great price for Apartment Anna 2 – rated 9 by recent guests! One of our best sellers in Vienna! 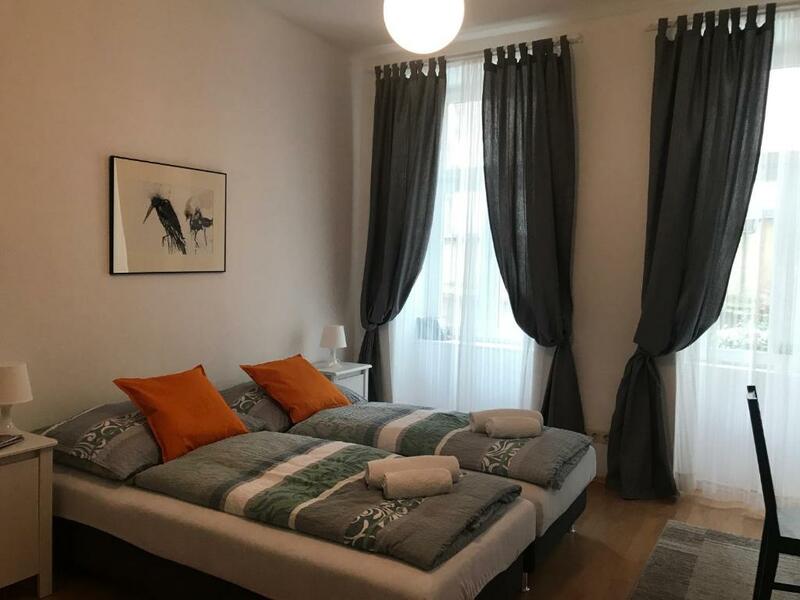 Located a 7-minute walk from Belvedere Palace in Vienna, Apartment Anna 2 is an apartment with a kitchen. 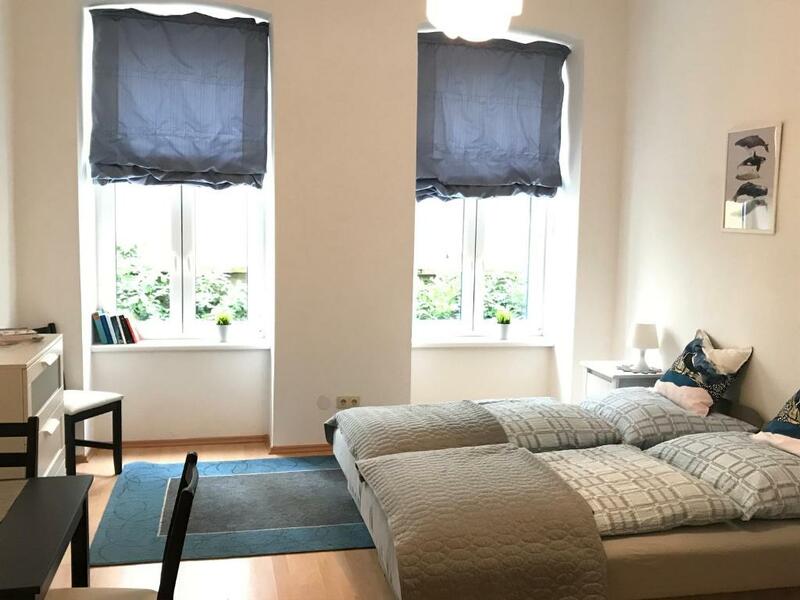 The property is 1.1 mi from Stadtpark and 1.3 mi from Vienna State Opera. This apartment comes with 1 bedroom and a bathroom equipped with a shower and a hairdryer. It is located in the souterrain of the building and only accessable via steps through the hallway, which is not barrier-free. Albertina Museum is 1.4 mi from the apartment, while St. Stephen's Cathedral is 1.5 mi away. The nearest airport is Vienna International Airport, 9.3 mi from the property. When would you like to stay at Apartment Anna 2? 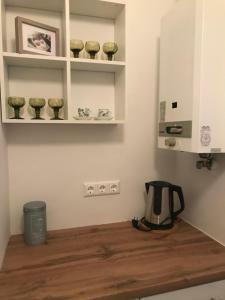 This apartment features a electric kettle, kitchenware and washing machine. 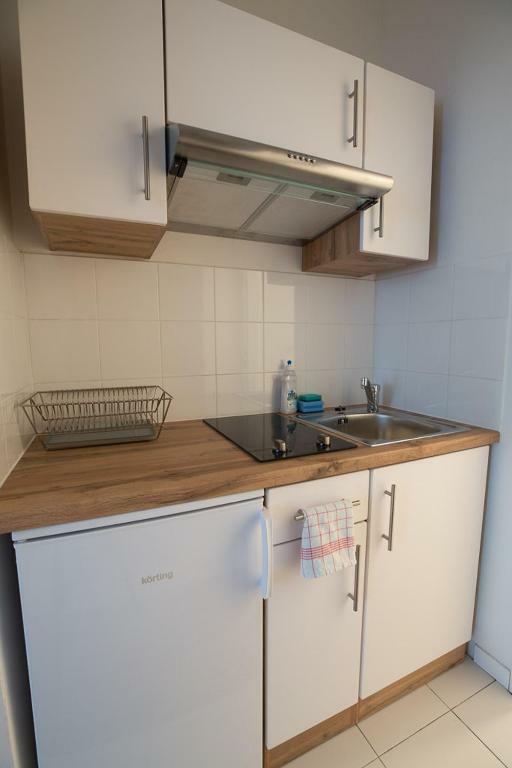 This apartment has a dining area, private entrance and stovetop. House Rules Apartment Anna 2 takes special requests – add in the next step! Please inform Apartment Anna 2 of your expected arrival time in advance. You can use the Special Requests box when booking, or contact the property directly using the contact details in your confirmation. radiator is doing some noise during the night..
all nice and clean. i recomand this accomodation. Neighbours are very noisy. WiFi comes and goes. Water pressure in the shower is not great and it was a bit painful when washing hair or trying to teach the bottom half of the body. The main door needs a curtain to go over the glass as the light in the landing is so strong it woke us up in the night and stays on for a long time. Besides my complain all was good, great location and also Corinna was very helpful & nice. Quiet place - sleep well. Comfortable beds. Wood floor can be mopped for better cleanness. Felt dusty with bare feet (we did not wear shoes inside). You can find all the utensil you need for a basic life. The firm mattress was very comfortable for us. Nice for a hot summer stay as the room temperature was cooler than outside. No need for fan at all. The host was helpful and communicative. 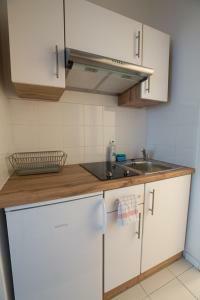 The flat is comfortable and has kitchen facilities for making breakfast or a simple meal. 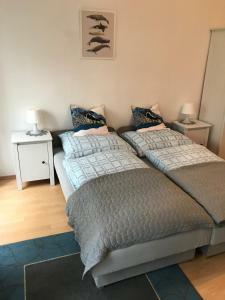 Its location is very convenient, being close to trams and the main train station. It was a little bit cold but I stayed in August, and I missed a microwave oven. The flat was very friendly, and quiet. Well-equipped apartment. The check-in was easy. Quick, kind response from the host and the apartment itself. Loved every part of it!